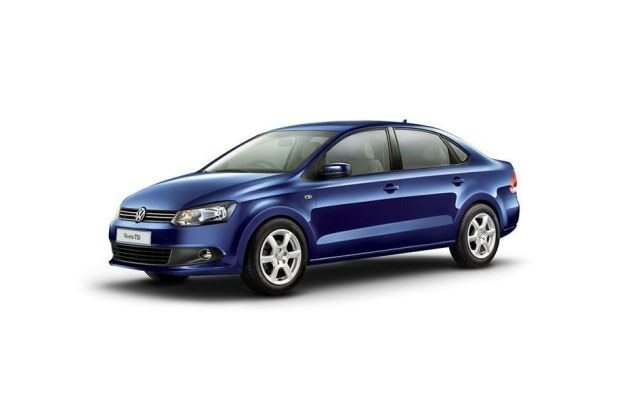 Volkswagen Vento is one of the most stylish sedan model of the German passenger car manufacturer and it is available with both petrol and diesel engine options. The company rolled out this variant in numerous variants out of which, Volkswagen Vento Petrol Trendline is the entry level petrol variant that is powered by a 1.6-litre, In-line DOHC based power plant, which is very powerful and fuel efficient in its class. This luxury sedan has a great body design with class leading fit and finish, which makes it very stylish and more alluring in its class. Although, it is the base level variant, it is still among the most featured vehicle in its class with a very competitive price tag. The Volkswagen Vento Petrol Trendline base level variant comes with five seating option with 2+3 arrangement inside the cabin. There are tons of features you can find inside this four wheeler including an air conditioner, rear defogger, radio preparation including roof antenna, four speakers, a stylish instrument cluster with tachometer, odometer, speedometer, and trip meter. The German automobile company also offering some of the standard protective functions with this luxury sedan such as front disc brakes, high mounted third brake lights, rear fog lights and other advanced features. One of the best aspects of the Volkswagen Vento Petrol Trendline trim is its stylish appearance. This luxury sedan has the best in class exterior body fit and finish that will certainly lure the car enthusiasts. To begin with, this four wheeler's front profile has been skillfully fitted with stylish and sleek headlight cluster that surrounds the radiator grille with chrome finish. The company logo has been fitted to this radiator grille that enhances the appeal of brand Volkswagen. The front bumper has a very sporty design and the air dam incorporated to it has a chrome surround. On the side profile of this sedan, you can notice that the wheel arches have been crafted well and have been fitted with 14 inch steel wheels. The window sills gets the black color garnish while the ORVMs and the door handles have been painted in body color. The doors also has the expressive lines that add to the style and elegance of the side profile. The rear end of this sedan is very beautiful and it looks most alike a high end luxury car. The prominent company badging and the variant badging on the boot lid gets the chrome treatment. The elegance of the rear end of this sedan is further enhanced by the unique design taillight cluster and macho design bumper. Coming to the inside section, the interior cabin of the Volkswagen Vento Petrol Trendline trim has a lot of leg room and shoulder space that helps the occupants to experience high level comforts. The seats are very luxurious and offers better support to be body all the way from the shoulders to the thighs. The company covered these seats with superior Livon fabric upholstery. The company used the high quality scratch resistance plastic inside the cabin for obtaining a close finish and to create a plush environment. The front door trims inside the cabin are blessed with storage compartment that include cup holders as well as bottle holder. The dashboard is extremely stylish and it houses various equipments and control switches. The central console in the front cabin comes with cup holders and the front center arm rest offer the cup holders for rear passengers. There are lots of other features you can notice inside the cabin including ashtray in front, trunk illumination, 12V power outlet , sunglass holder in glove box and lots of other exciting features. The German automobile company Volkswagen has assembled this base petrol variant with a 1.6-litre, DOHC based motor that comes with 4-inline cylinders and produces 1598cc displacement capacity. This engine unleashes a peak power output of about 103.56bhp at 5250rpm and yields 153Nm of commanding torque at 3800rpm, which is good. Volkswagen has coupled this particular engine with a 5-speed manual gearbox that enhances the smoothness of the engine while allowing the front wheels to draw the power from the engine. This vehicle takes only about 10.7 seconds to reach a speed mark of about 100 Kmph and it can go up to a maximum speed of about 185 Kmph. The Volkswagen Vento Petrol Trendline trim comes with a proficient braking and handling aspects that gives a stress-free driving experience to the driver. The company fitted the front wheels of this sedan with disc brakes, while assembling the rear wheels with drum brakes. This is perhaps the most reliable braking combination that ensures precise braking. On the other hand, the suspension system of this vehicle contributes for the improvement of vehicle's stability. The front axle has been fitted with the McPherson Strut suspension system with stabilizer bar while the rear axle has been bestowed with Semi-independent trailing arm type of suspension system . The electronic power steering system of this vehicle doesn't require you to put much of efforts to steer the sedan away from traffic. The Volkswagen Vento Petrol Trendline is the base level variant in the model series, but still it has been offered with most important comfort features. Some of those features include an air conditioning system with rear AC vents, dust and pollen filter, driver's seat height adjustment, speed sensitive power steering system, steering wheel with tilt and telescopic adjustment, electric trunk opening , front and rear power windows, rear defogger, vanity mirror in left side sun blind, front intermittent wiper with 4-step variable speed setting and so on. Apart from all these, the company also offering this base variant with a rear parking sensor for the convenience of the driver. These safety features will meet the most of the occupant requirements and makes the journey very comfortable. When it comes to the safety aspects, this base level variant has been blessed with standard protective features. Some of the safety aspects includes the front and rear height adjustable headrest, front disc brakes , rear fog lights, high mounted third brake light, 3-point front seat belt, manual day/night internal rear view mirror and the most sophisticated electronic engine immobilizer system with floating code. Pros: Decent features, trendy style and appearance. Cons: Very poor mileage, price can be more competitive.